Take a trip down memory lane on Thursday 11 April, 10:00am-11:00am at the Winterburn Inn in conjunction with Warley Town Community Association. 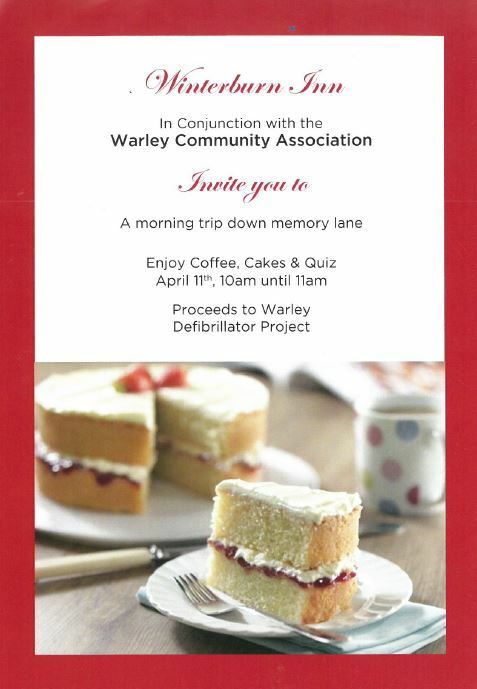 Enjoy coffee, cakes and a quiz and raise funds for the Warley Defibrillator Project. For more information go to the Contact Page of the Warley Community Association website.